Okay- I have had a headache for three days now. Popping pills did not help. I have been searching for my Natural Headache relief Saje Peppermint Halo oil and finally found it. This saved me. The bottle has a little roller ball on the end so I rolled some on the back and sides of my neck and within 20 minutes I felt some relief. I love Saje products. Simply roll the oil on around your hairline, right down to your ears, or add a few drops to your finger tips and lightly massage around your hairline and behind your ears. If your headache is coming from a tension in your neck or shoulders, roll some around that area too. I use it often on the back of my neck and shoulders. Careful, don’t get it near your eyes. Next time you have a headache try this peppermint oil- it does wonders. 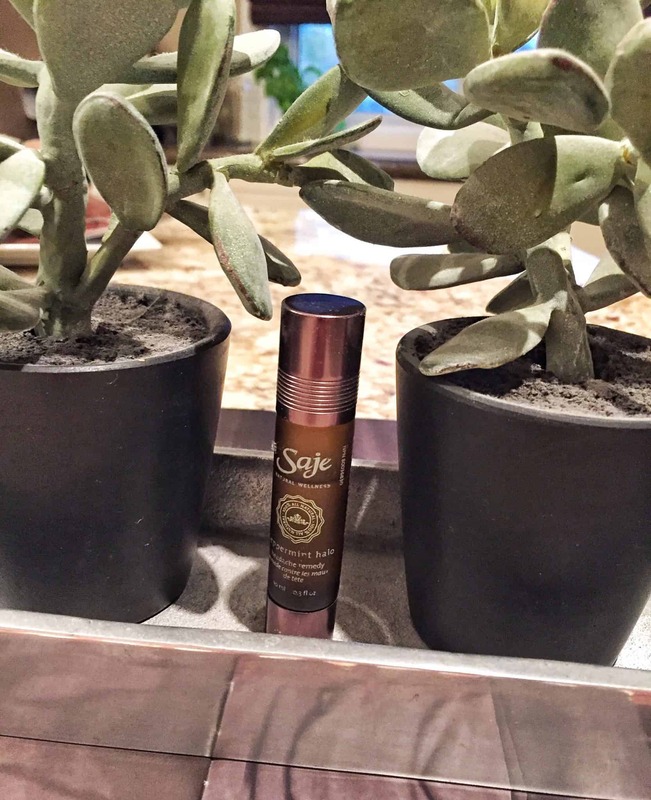 I love all Saje products- time to get the diffuser going with some lavender oil and a cup of tea. I just ordered a diffuser from Saje, can’t wait for it to arrive! Love the diffuse – such a nice alternative to air fresheners. Wow thats all you have to do and it cures it?! I rarely get headaches but when I do, I’m a total baby….I feel like I need to keep this around! Where did you find it?